Now closed for international requests! We will continue to receive Canadian national requests until May 1, 2019. 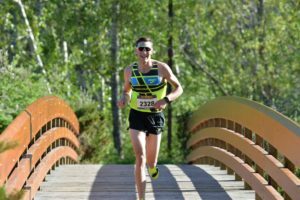 My name is Michael Schnare a Brooks Running Canada athlete and triathlete based out of Red Deer, Ab. Throughout my life, sport has always been a driving factor that has brought stability and ambition. As I developed as an athlete I made my way into the sport of cross country running and then shortly after, triathlon. Now as I look towards my future goals, the marathon becomes an essential stepping stone to advancing as a triathlete. This has brought me back home to Saskatoon. The city where I started out as a casual runner appreciating the beauty of the river valley trails. Later this year my wife and I are both competing at the 2019 International Triathlon Union World Grand Final in Lausanne, Switzerland. I don’t run outside if it’s below -15 (-20 with the wind chill). So during the cold spells I have to get creative. It is ok to look for other alternatives to running outdoors, whether that’s hitting up the indoor track, the treadmill, or even the pool for some swimming/deep water running. Layering is essential – nothing bulky – but finding that balance where you start out a little cold and not overheating. I typically wear a t-shirt, a long sleeve thermal layer and a thin wind breaker with gloves, a toque and tights. If I need more layers then I go inside! I’m definitely a fair weather runner. Speaking of treadmill running, make sure to have somewhat of an incline set. Using a treadmill with no incline makes walking or running even easier than running outside on a level surface. I typically run at 1-1.5% as this is considered to be the same resistance level as an outdoor surface with no incline. Competed for the University of Manitoba Bisons in track and field and cross country from 2004-2009. Prior to this, I actually played College Basketball! I then when on to train at the Elite level in Cross Country, competing at the national level from 2009-2010, and then for the half and full marathon from 2012-2015, prior to having kids. My best times in the Full Marathon are 2:58 which was achieved at the Manitoba Full Marathon in 2010 and 2011. My best time in the half marathon is 1:22 which was achieved at the Goodlife Half Marathon in Toronto in 2010. This was followed with competing in a few local triathlons and placing 3rd in my age category at the Penticton Challenge Triathlon (Ironman Distance) in August of 2010. I have always loved running, and this has been a passion of mine since running my first marathon in 2003 with a 10:1 (run:walk) program through the Running Room, just after high school. 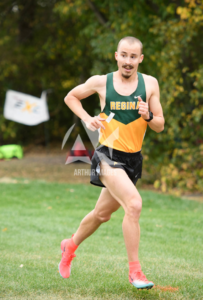 This spurred an innate passion for competing and training, which led me to improve upon my running times and compete for the University of Manitoba Bisons. It was there that I met and later married my husband. Now that we’ve settled and had our family, I’m eager to get back at it! I have always considered it a blessing that I can run, as I work as an Occupational Therapist with individuals of varying disabilities who are not as fortunate as I am. Running has been my peace at times of chaos, my crutch at times when life has handed me lemons, and an avenue to keep me grounded and humble. I love sharing my passion and encouraging others to run. It is with great excitement that I train towards the Saskatchewan Full Marathon! I’m from a small town just outside of Saskatoon called Dalmeny went to school at the University of Saskatchewan and graduated commerce in 2010. I started my love for running back in Saskatchewan, and when I called Saskatoon home for 6 + years, I always loved running down by the river on the meewasin trail. 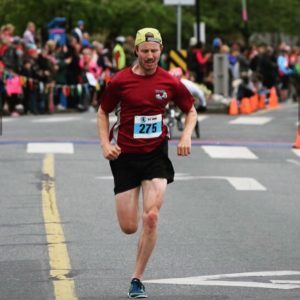 I’ve since moved to Victoria BC for 4 years and have seen my love for running increase. Being able to run outside comfortably all year it just amazing. Plus running along the ocean definitely helps. 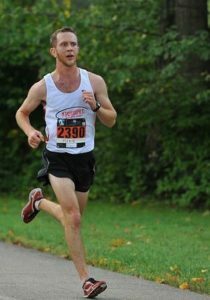 I did not run in college, and was not serious about running until about 2 years ago. Since then I’ve been juggling working full time for the BC government and running/training for the marathon. It’s been a good build as in October 2018 I ran a PB of 2:36:09 at the Goodlife Victoria marathon. This automatically qualified me for the Berlin Marathon which I will be running in September 2019. I look forward to running in the Saskatchewan Marathon. I’ve ran the half a few times when I live in Saskatoon and am excited to run the full marathon. The marathon is not only about the physical challenge, but it has a huge mental challenge as well. In training I like to keep that in mind. If on a bad workout day, it’s better to struggle through a workout or run if you’re not feeling like it’s going according to plan as opposed to quitting. This is something I struggle with, and I find that it mentally makes me stronger for the end of a long race. That being said, this is different if you are dealing with an injury, or you start to feel something tighten up. In this case, it’s better to shut it down. REST DAYS. Rest days are important. The marathon build can be long, and demanding. I usually have 1 rest day per week to let the body just relax, and heal. Your body can take a whole lot, but it’s very important to allow the body time to rest and recover. Running 7 days a week, every week can add up and take a toll on your body, which can lead to injury. Try and mix up the running surface that you train/run on. Sometimes it’s hard to find different surfaces to run on, especially in the winter time. I’ve found, since I’ve been living out west, that running on trail/gravel is easier on your body than pavement and concrete. For me, it’s very easy to find trails to run on because there are an abundance of them in Victoria. But I know in Saskatoon, this is not the case. So if you can, try and find 1 or 2 places where you can get 2 runs a week on a softer surface. Your body will thank you at the end of the week, month, and year. My name is Michael Stewart and I grew up running country roads in rural Michigan. My favourite time of the year to run is the fall- I love running through trails as the leaves are changing colour. A very important part of running to me is the people who surround the sport. Running has helped me form my closest connections in every city that I have lived, including my wife who I met while running at Waterloo. In 2015 we moved to Edmonton and while the falls aren’t as full of colour as in Ontario or Michigan, the river valley and ravine trails offer up one of the best running networks in all of Canada. 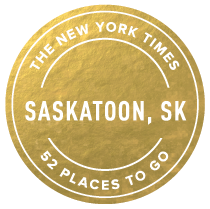 I am really excited to visit Saskatoon for the first time and am hoping to get a new personal best in the 10k. This story starts on a road trip seven years ago for a Sheepdogs concert in a cramped 1999 Honda Civic with a group of close friends, well before I was ever a runner. Prior to the concert, after the casual five hour road trip down that sweet double lane blacktop known simply as, “the Yellowhead”, my friends and I find ourselves walking on the Broadway Bridge to stretch our legs crossing the South Saskatchewan River looking up and down what I would later find out to be the Meewasin Trail. Even having grown up in Edmonton with our wonderful river valley trail system, I remember being so impressed by a path that runs right through the entire city. It’s that same Meewasin Trail, that has my sights set on the Saskatchewan Marathon. I continue to stitch together my pre-run life with my now, all-run life and am excited for the opportunity to run through Saskatoon on the vary trail that I marveled at all those years ago. So in proper “re-living the past” fashion. A group of friends, all runners this time, and I are piling into a more adult appropriate minivan, and heading east to Saskatoon for the Saskatchewan Marathon. This will be my fourth marathon having previously ran New York City (3:11:20), Chicago (2:57:54), and will be six weeks post-Boston when I toe the start line in Saskatoon. The Meewasin Trail has likely changed from that first visit to Saskatoon, but so have I, and I can’t wait to share it with my friends for my Canadian marathon debut. My name is Lisa Stewart and I am a runner from Bracebridge Ontario. 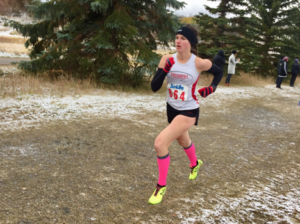 I have always loved to run and started training competitively when I joined the University of Waterloo (UW) cross country team in 2013. It was on the cross country team that I met my husband, the team captain, giving me further affection for this amazing sport. I love being married to a fellow runner – the best part of my day is catching up with him on our run-commute home. We moved to Edmonton after graduating from our undergrads in 2015 and began training with the Running Room Athletic Club (RRAC). With Coach Matt Norminton’s guidance I have achieved personal bests in the 3, 5, 10, 15 and 21.1KM distances and am hoping for a new 10KM PB in Saskatoon! Good luck to everyone racing – I am sending fast vibes to all of you! My Canada games experience in the summer of 2017 was great! I was able to compete against great athletes from around Canada! It was a wonderful opportunity to represent Saskatchewan and to meet people from around the country! The race (5000m) itself was an experience that I will never forget! I was going into the race ranked 14th place and ended up finishing 9th place overall out of 20 competitors. From the start of the race, the pace was fast. I went through 3000m in 8:48min which at the time was faster than my PB. I finished the race in a time of 15:10.29. The race experience taught me a lot about myself. It taught me that I was able to push myself past limits that i thought were not possible to reach! My personal training philosophy is that it is important to train hard, to never give up and to remember to have fun! It is also important to sometimes remind myself that I love running and to embrace the pain! I have been running now for more than 10 years and consider myself very lucky for all the opportunities and friends this sport has given me! I am so excited to compete on the roads this spring and summer and am looking forward to the Saskatchewan Half Marathon! 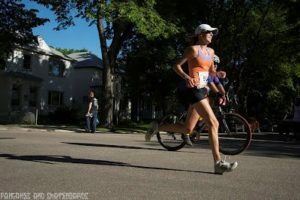 The Saskatchewan Marathon warmly invites competitive and elite runners to apply for complimentary entry to the race. We work hard to organize the premiere running event in Saskatchewan and are developing an even more competitive component for local and international runners alike. 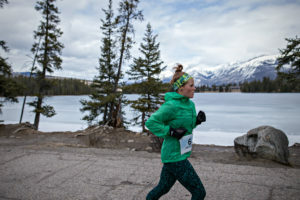 In 2019 we will be opening a limited number of spots for both men and women in each of the four events: marathon, half-marathon, 10km and 5km. For international runners, we may also be able to accommodate local billeting requests, provided sufficient notice in advance is given. Successful applicants will need to submit a brief running bio and picture for use on the Saskatchewan Marathon website. Pre-Race interviews. These will be at a mutually convenient time leading up to and on the race day. Awards Ceremony – Race Day We request the presence of the top three finishers at our awards ceremony to receive your laurels.